The Nail Clipper with Magnifier is ideal for use as a Toenail Clipper or Fingernail Clipper and the removable, hinged magnifier can help to make trimming nails easier and safer. 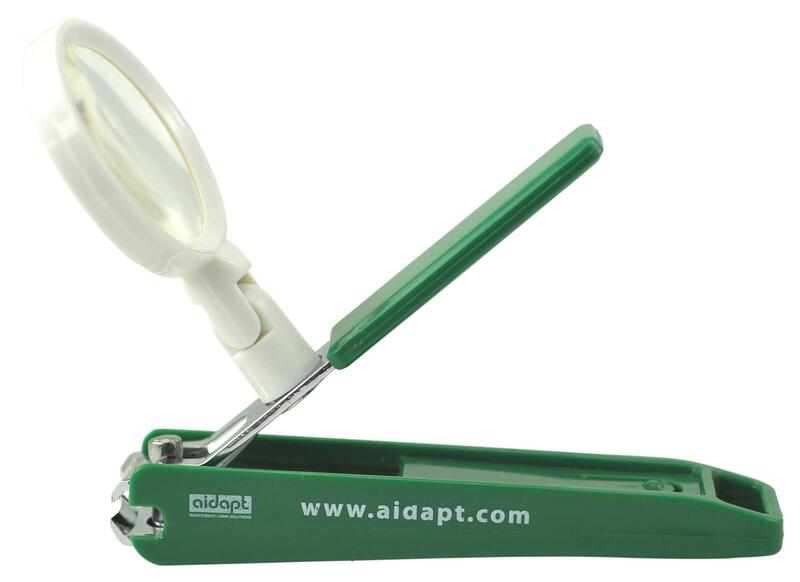 While the function is much like standard toenail clippers, the Aidapt Nail Clipper with Magnifier has a removable plastic cover for improved grip, while the magnifier attaches to the top of the clipper magnetically and can be positioned for a clearer view of the nail, reducing the risk of injury or clipping the nail too short. Ideal for use as a Toenail Clipper or Fingernail Clipper and the removable, hinged magnifier can help to make trimming nails easier and safer. 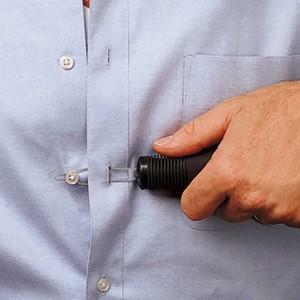 Reduces the risk of injury or clipping the nail too short.